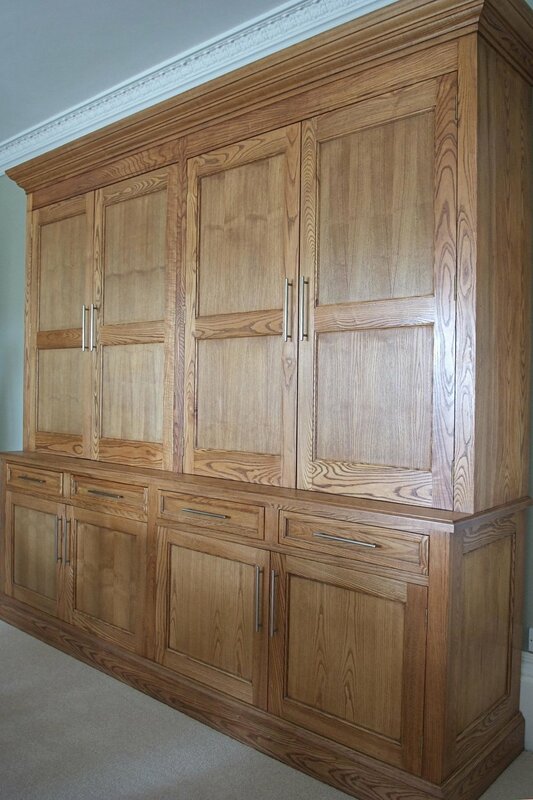 This American Ash Dresser was commissioned for a large country house dining room. The client wanted plenty of storage to accommodate all the things one needs in a family dining room which is also used for entertaining. With four drawers fitted on traditional runners, base cupboards and ample top cupboard space, the dresser suits my client’s lifestyle perfectly. The natural Ash was given a final stained finish to achieve a darker patina to the wood.